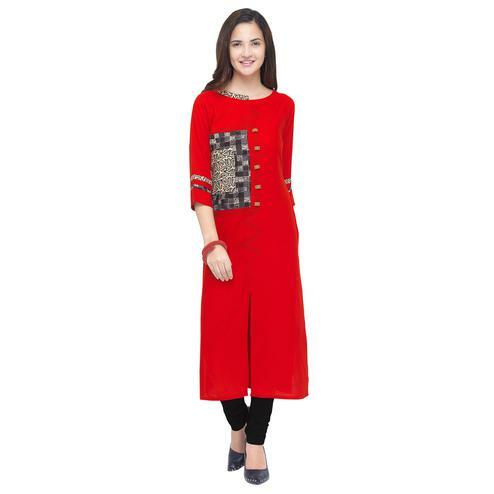 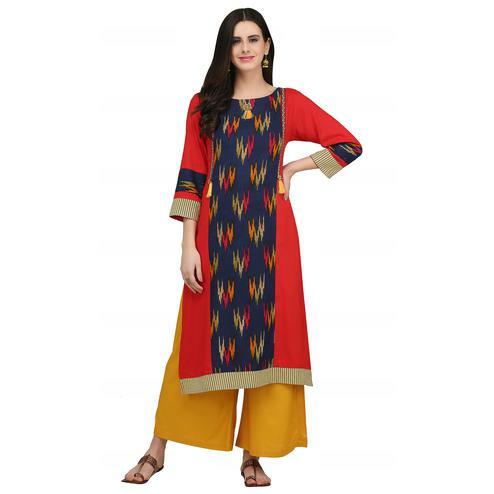 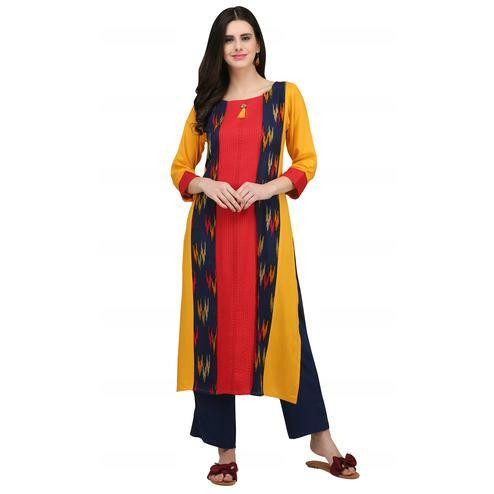 This red color straight cut kurti is fabricated on heavy georgette and decorated with embroidered work at neckline and decorative button at yoke and sleeves cuffs. 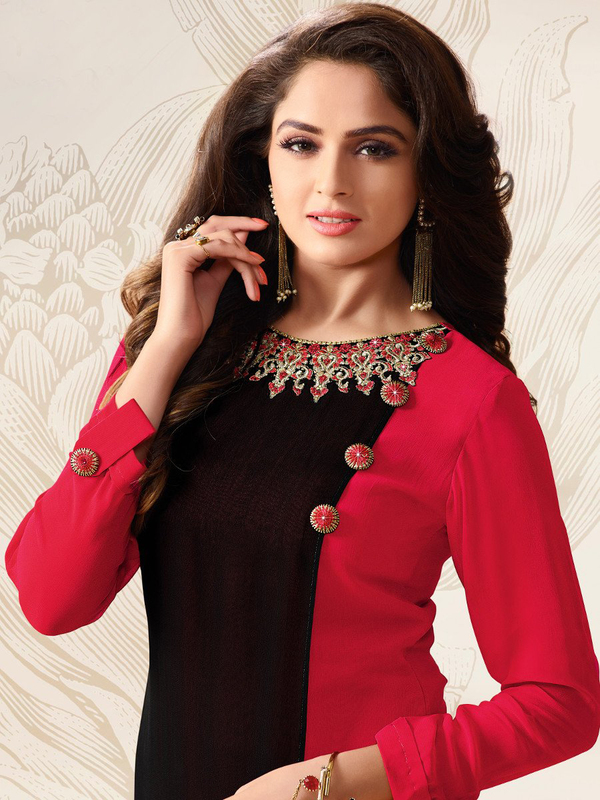 This kurti also features black color layered panel, round neck, side slits and full size sleeves as shown. 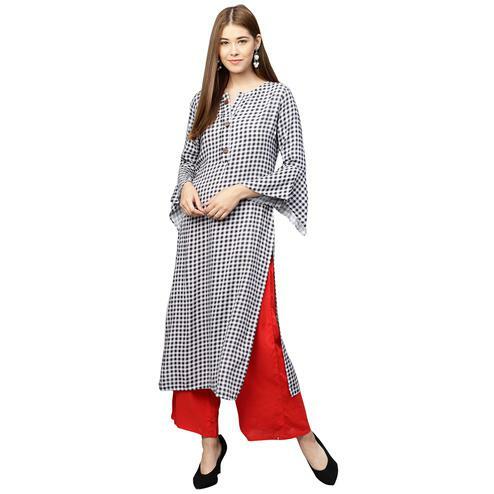 It's a perfect kurti to wear for casual parties, events and social get together.